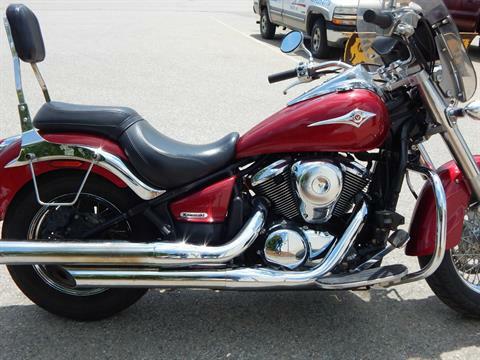 KAWASAKI VULCAN® 900 CLASSIC: EVERYTHING YOU NEED IN A MOTORCYCLE AND EVERYTHING YOU WANT IN A CRUISER. Heavyweight styling meets middleweight practicality. 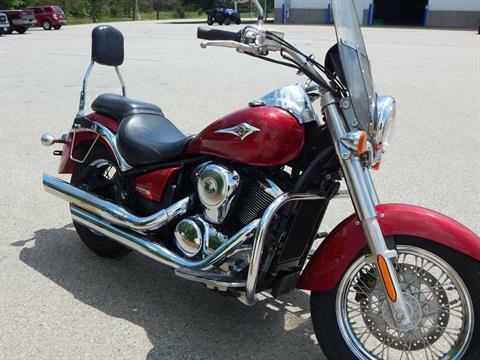 For riders seeking a better balanced mid-size cruiser with the look and feel of the larger V-twins, the Kawasaki Vulcan® 900 cruiser family offers the only motorcycles to fit the bill. With clean lines and an uncluttered look, the Vulcan 900 Classic is ideal for cruising purists. 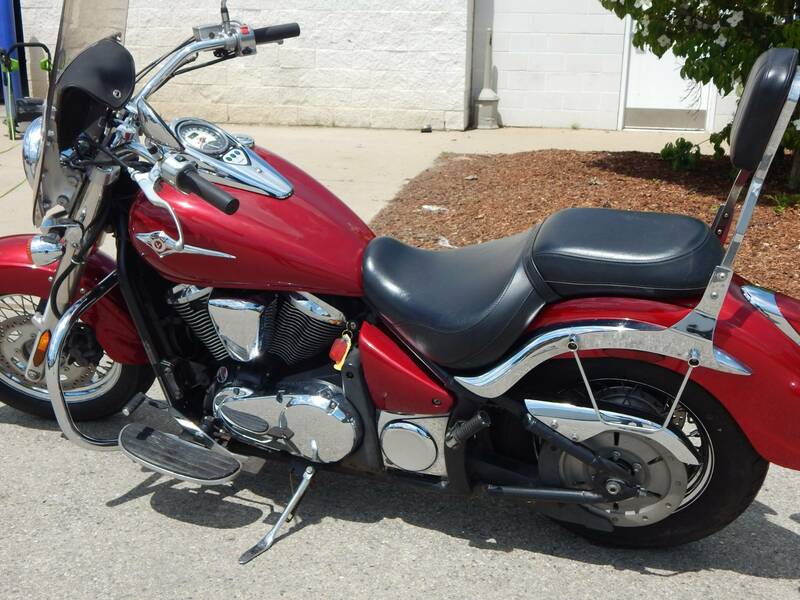 Highlighted by styling that is drawn from the long, low look of Kawasaki’s Vulcan 2000 Classic, the 900 Classic is a sure winner in the mid-size category. Both entry-level riders and those who were previously unable to tap the feeling of a heavyweight ride will enjoy this maneuverable mid-size package. Its 903 cc engine delivers exceptional roll-on acceleration and places this Vulcan firmly at the top of its class. With a style and physical presence that were previously unavailable in this displacement arena, it will not only fit in with many larger cruisers, it will do so while offering a better value, easier maneuverability, and better performance than most other cruisers. 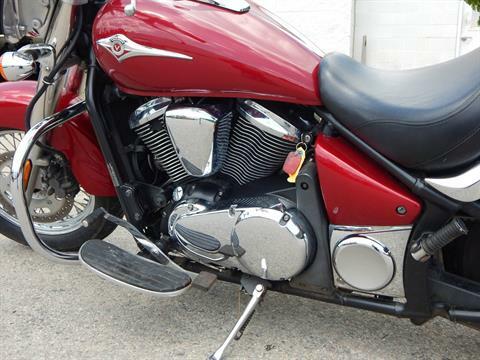 The Vulcan 900 lays claim to the highest power and torque in the mid-size cruiser class, coupled with roomy passenger accommodations that make highway trips and long days in the saddle a real joy. Designers matched the “extra” displacement of the Vulcan 900 power plant with “extra” physical charisma and class-leading ergonomics. The freshly styled fenders and fuel tank add a slight curve to the traditional cruiser shapes. 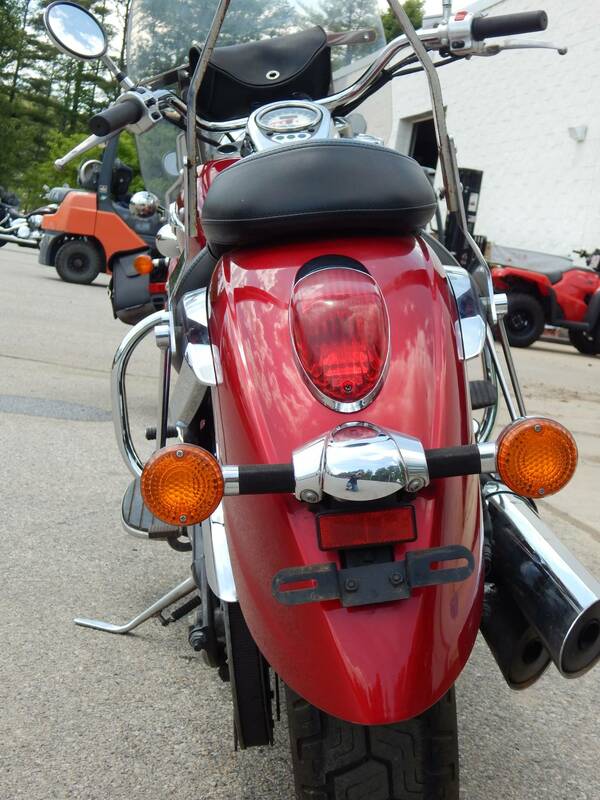 Its polished chrome-accented air cleaner and chrome headlight design keep it connected to its cruiser roots. Adding to the stylistic “eye-candy” are a very modern flair emanating from its stylish bodywork, a LED taillight, and low-slung seat height. 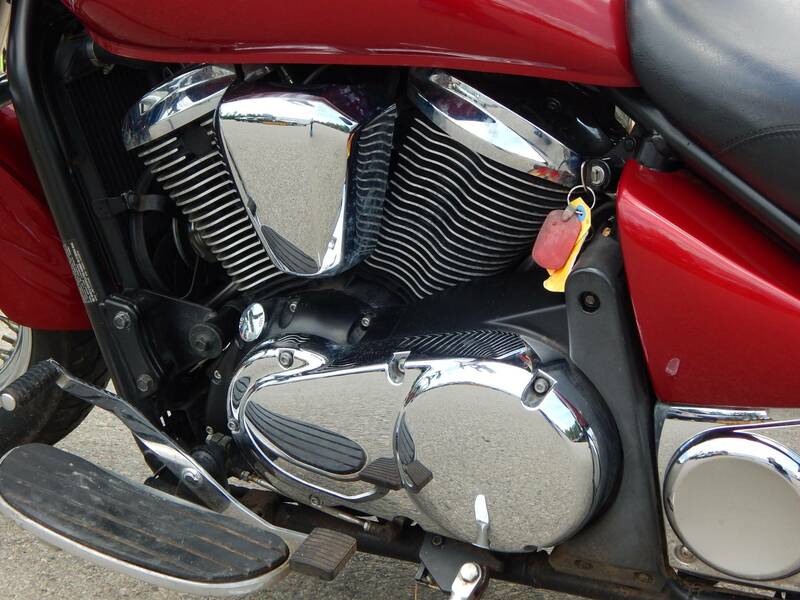 Curved engine fins add visual interest to the traditional look of the big, fuel-injected V-twin, while the four valves per cylinder, liquid-cooled reliability, and smooth highway cruising aided by the engine’s counter balancer make this a worthy rival its competition. The Vulcan 900 features belt drive that not only keeps the overall weight down, but also improves rear-end styling and provides the rider with additional customizing opportunities. With the largest rear tire in its class providing a beefy, “big bike” look and a single-pin crankshaft helping to produce a guttural, classic V-twin sound, the Vulcan 900 EVOkes the feel of a much larger motorcycle. The Vulcan 900’s look and feel need not exclude any potential rider. The low seat height makes it accessible to shorter riders and its tapered seat flows comfortably into the large capacity fuel tank and lower chassis rails to provide a narrowed shape, for an effortless reach to the pavement. At home, around town or when the open road calls it, this motorcycle is built for hour upon hour of riding pleasure. The wide handlebars offer an ideal relationship between the seat and floorboarDual Sport, making for an extremely comfortable mount. The ergonomically designed front bucket seat is comfortable enough for any distance, and the rear pillion pad makes it effortless to share the two-wheeled experience with a friend. Some of the other features that make it so appealing to such a wide audience are a fork offset and rake designed for light, low-effort handling when maneuvering at low, in-town speeDual Sport. Similar to the Vulcan 2000, the 900 is equipped with an auto-fast idle system, featuring an rpm feedback relay that helps ensure a fixed engine speed in all starting conditions. Easy-to-control fuel-injection makes ultra-low speed riding surprisingly easy, while abundant low-rpm torque provides thrilling roll-on acceleration. Available in four color selections—New Candy Caribbean Blue, Candy Cardinal Red, Metallic Titanium, and Ebony—the Vulcan 900 Classic offers stylish aesthetics in a platform that’s perfect for customization with Kawasaki accessories.